SWDP's Cable Runway supports cable pathway routes between equipment rooms, top feed connections on open racks and enclosed cabinets in the data center environment. Our comprehensive system includes complete hardware, accessories and support options. Constructed completely of welded rectangular steel tubing for both stringers and rungs. 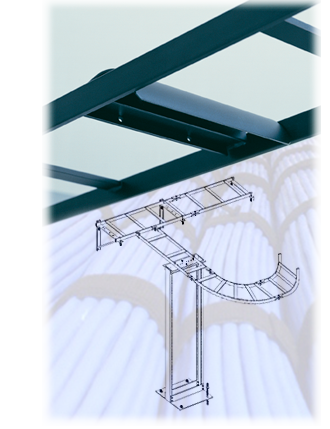 Tubular construction and a wide selection of cable management additions to make certain all possible installations are manageable. A complete compliment of accessories, bends, radius bends, support products, junctions and splices.